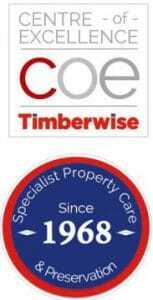 At Timberwise we offer property care services in basement waterproofing, dry rot, wet rot, damp proofing and woodworm across a number of areas in Brecon. Our professional experience has been gained over 5 decades and is backed up by long-term guarantees. If you are experiencing damp issues in your property then contact our helpful team in Brecon who will be happy to help. To request a survey you can contact us on 0800 288 8660 or by requesting a survey online.